Woohoo! I’ve got a new dress, and it’s gorgeous! In a continuation of my life being photographed in vintage and vintage-style dresses, here are the results of about 8 hours of sewing fun! 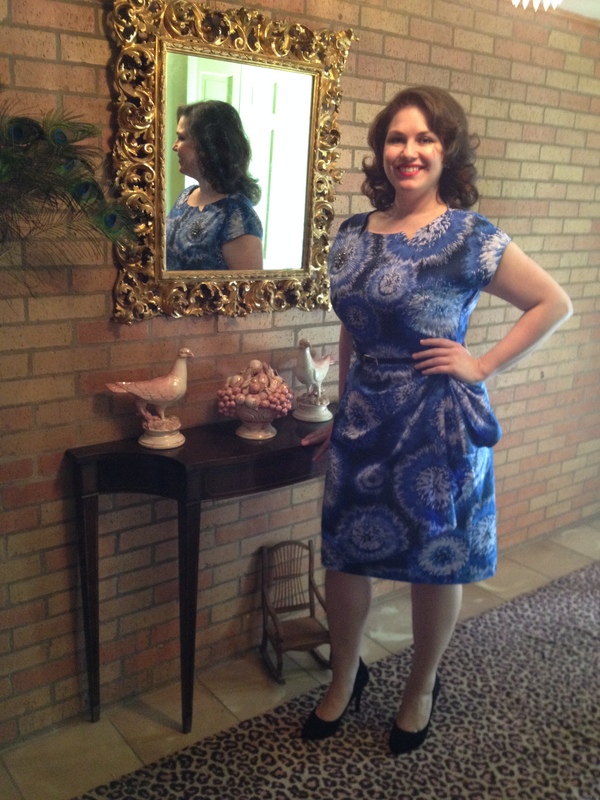 Here’s the pattern, a vintage reprint from Butterick (B5880), and the crazy blue cotton fabric I found! As I’ve said, I love working with fun cotton fabric, because it tends to be less expensive and so easy to work with. This particular fabric was chosen due to the changing of the seasons. I thought it would be a lovely late winter/early spring print that would make the transition nicely. Also, I don’t have nearly enough blue things to wear! Here’s a close up of my fab hair (it did what I wanted it to do!!! ), and the super neat neckline! It’s got two little “v”s to keep things interesting. 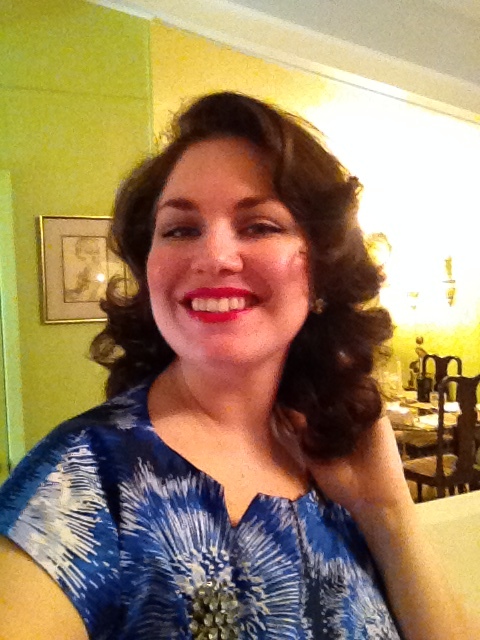 It also works super well with my vintage blue starburst brooch! I did not plan this, however, one of the bursts in the fabric ended up in the perfect “brooch place” on the bodice! Splendid serendipity! Here’s the final product! Isn’t it stunning?! Another confession: The lovely swag across the front was *supposed* to be lined, and because I didn’t have quite enough fabric, I just hemmed the raw edge instead! It lies beautifully, however, since the fabric isn’t double-sided, I’ve got to be careful not to let the underside show. When I make another version (which I’d like to do immediately), I will probably choose a solid color, and add a contrasting fabric lining! I’ll also take this opportunity to introduce my pocket pup: Abe Lincoln! So, that’s the latest sewing project of mine! 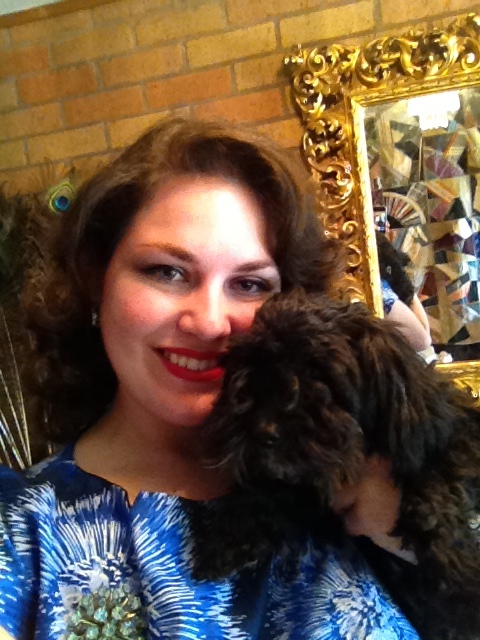 It was really special because it was my first dress at the smallest size I’ve ever sewn! 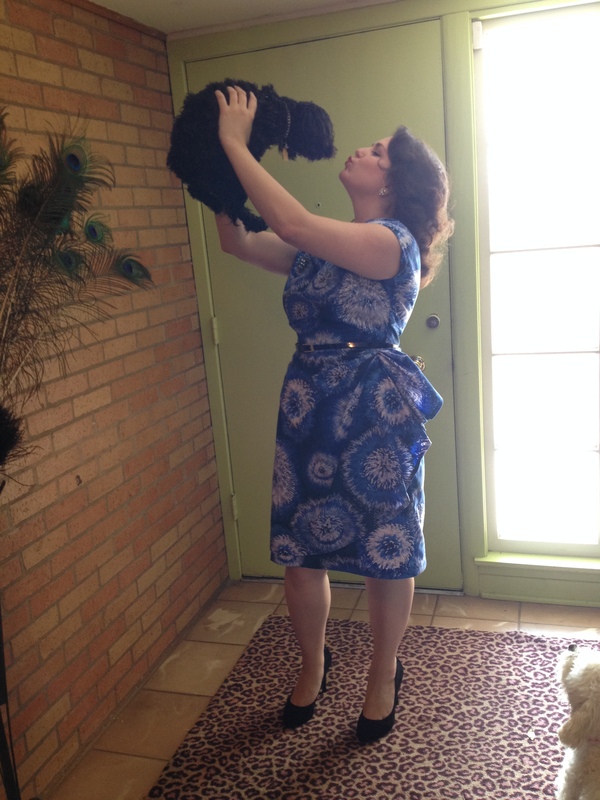 I only made my standard adjustments to the waist (for petites) and the hem length (super petite! ), and it fits so well! As many dresses as I’ve made, it still feels like a gamble with a new pattern, and I’m so glad this one is a success! 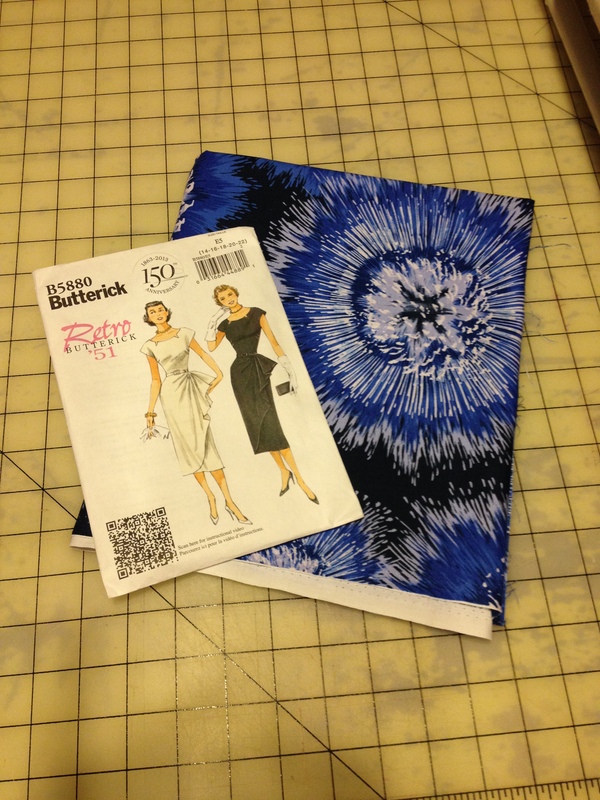 Are you working on a new dress pattern? What made you choose it? Which fabric(s) do you like working with? Previous Post Valentine’s Day Soirée! Next Post I Saw Bigfoot! I like to work with “any” fabric my niece hasn’t hidden in her organizational frenzy.